This week, we have a wrap-up discussion with TNS contributor Scott M. Fulton about the VMWorld 2018, in which the giant of virtual machine software is taking bold steps into Kubernetes and containers, through a managed Kubernetes offering and also with its sister company’s Pivotal PKS managed container service. The company is pitching its NSX virtual networking software as the basis of container operations in the cloud. But the package’s automation capabilities leaves some network administrators wondering if they will have jobs in the years to come. “When infrastructure becomes truly programmable, who — or what — will be responsible for it? More to the point, will it be someone other than the people in charge of it now?” Fulton writes. In the second half of the show, we discuss what the phrase “cloud native DevOps” means. Next week we are kicking off a series of articles on setting up and deploying cloud native DevOps, and Fulton offers some insight into this topic as well. Just like its name, DevOps seeks to combine two different sets of IT practices — software development and software operations, the work of the system administrator. The idea is to speed the development process, eliminate the wait-time between the development of the software, and when it goes into production. And, in terms of speed, you can’t go wrong with cloud native computing. Cloud native computing uses containers, service meshes, microservices, immutable infrastructure and declarative APIs to bind systems into a loosely-coupled architecture for maximum flexibility and development agility. Joining myself in co-hosting duties is TNS managing editor Joab Jackson. Pivotal, Stackery, and VMware, all mentioned in the podcast, are sponsors of The New Stack. 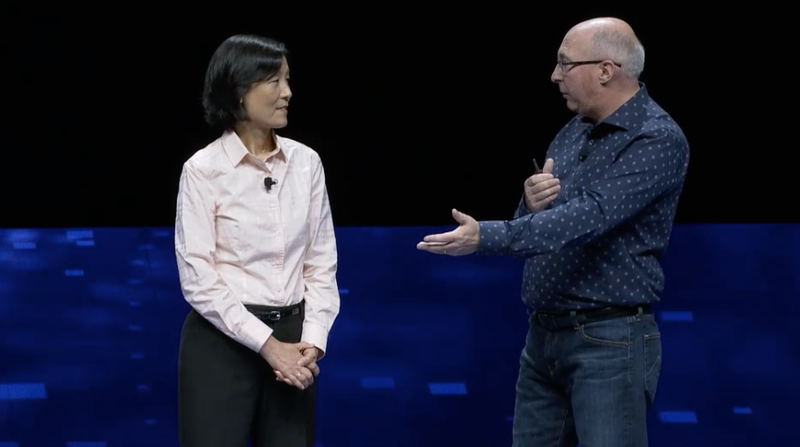 Feature image of VMware’s Wendy Cartee on stage at VMworld 2018, by Alex Williams.